In November, I joined an overflow crowd at the Walker Arts Center to hear a panel discussion entitled Midwest? The Past, Present, and Future of Minnesota’s Identity. The discussion stemmed from common questions of identity, and proposed that Minnesota and the Twin Cities secede from the “Midwest” and claim ownership of a new region: the North. If you’re reading this article, you’ve probably heard about this, perhaps from the Star Tribune’s original write-up. There are some powerful people behind the movement. It’s the brainchild of Eric Dayton, son of the governor and owner of The Bachelor Farmer restaurant and the Askov Finlayson clothing store. Recently, the idea has experienced another surge of media interest. Brian Martucci, The Line‘s Innovation and Jobs News Editor, wrote an article that catalogs piecemeal some of the projects and movements that are transforming the Minneapolis-Saint Paul cityscape. A day later, The Wall Street Journal (of all newspapers), published a different take by Christina Brinkley, their fashion and style columnist. It’s a fascinating experience to read these two commentaries side by side. Martucci writes from the perspective of someone who lives here, and his focus is firmly on the built environment. As is evident to any resident, Minneapolis and Saint Paul are undergoing a breakneck physical transformation, with further changes hurtling down the pipeline. Meanwhile from New York, Brinkley is interested in goods. Red Wing shoes, Faribault wool, Duluth packs, and other ‘Made in Minnesota’ products are reportedly—this writer wouldn’t know, he cannot afford them—in vogue, thanks in part to their decades-old, blue collar, lumberjack bona fides. At the confluence of both of these trends, both writers found Eric Dayton and his determination that we live in the ‘North’, and that Minneapolis-Saint Paul should assert its place as the capital of this new region. We’ve all heard something to the same effect. Minnesota is a frozen tundra populated by mostly second rate football players and provincial people. No theater. No bikes. No beer. We barely get credit for being an objectively incredible sports town. I wholeheartedly blame our association with the Midwest for this. We are shoehorned into a familiar “flyover state” template and the thermostat is turned down. At least Ohio gets to choose the president. Why yoke our region to images of yokels? There’s hardly a consensus that we’re part of the Midwest anyway. Meanwhile, the commonly used “Upper Midwest” is the unsweetened oatmeal of place names, hardly worth insisting on. In “North,” we would own an identity that is simple, evocative, and accurate. It is miles beyond what we have now. Yet is this reason enough? It may be that most Minnesotans feel the same way and that the roots are already laid for a reinvention. The capacity crowd at the Walker indicated that many are ready to jump on board. But the success of the North movement relies on both broad and fervent support. To harness both, advocates need to make a compelling argument that embracing our Northern identity is not just a good idea because it feels better than before, but because there is an economic and cultural imperative toward doing so. Do we Really Have a Place-Branding Problem? 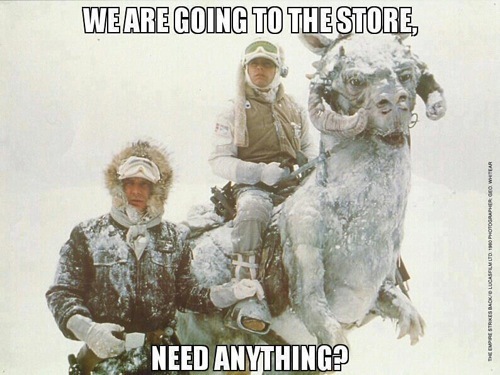 It’s not clear that the Twin Cities and our hinterland are struggling because of our attachment to the boring Midwest and our reputation as the American manifestation of Hoth. Minneapolis-Saint Paul is punching well above its weight economically. The metro unemployment rate is the lowest of any large American city, we have high wages, and a modest cost of living. We have the fifth most Fortune 500 companies and the most per capita of American metropolitan areas. We’re not bad for small businesses either. As a result of the MSP economic engine, the state of Minnesota is also doing relatively well. Our state’s unemployment rate is the nation’s fifth lowest and our economy is growing at a reasonably strong rate. Of course, the problem here is that we’re dealing with a counterfactual. If Minneapolis-Saint Paul had a stronger identity, would we see the results in a better economy? It’s nearly impossible to prove, but with basic data we can make a few back-of-the-envelope observations that may bolster that claim. We know that cities and regions with more human capital have a strong correlation with economic strength. There is some evidence that suggests we could do better at attracting that talent. Data from City Observatory‘s ‘Young and Restless’ Report shows that the Twin Cities boasts one of the better educated cohorts of young people in the country. Given our strong economic position and wealth of colleges and universities this is not surprising. But despite an increase in the number of young and educated in the city and the metro area, we lag behind some of our national rivals in growing these numbers in a way that seems at odds with what our economic and educational attractiveness would predict. Minneapolis-Saint Paul ranks tenth in young and educated adults who live in the city, but fourteenth in terms of real growth, and twenty ninth in percentage terms. Denver is an easy comparison. The Mile High City (that’s their tourist slogan too—straight, to the point, and in sync with how outsiders think of the city) had just over 2000 more young and educated adults than MSP in the year 2000. Now the gap is over 6000. That’s why Denver got the star treatment from the New York Times in this article that Facebook’s algorithm has been advertising to me for the past three months. Baltimore is the nation’s biggest turnaround story, having doubled the young and educated population of the city from 2000 to 2010, surpassing MSP in the meantime. Baltimore doesn’t have a brilliant identity (The Charm City), but it offers a relatively low cost of living, dramatic cityscape improvements, powerful educational institutions, and an enviable position in the undoubtedly cool Northeast megalopolis (with the ability to commute to DC). 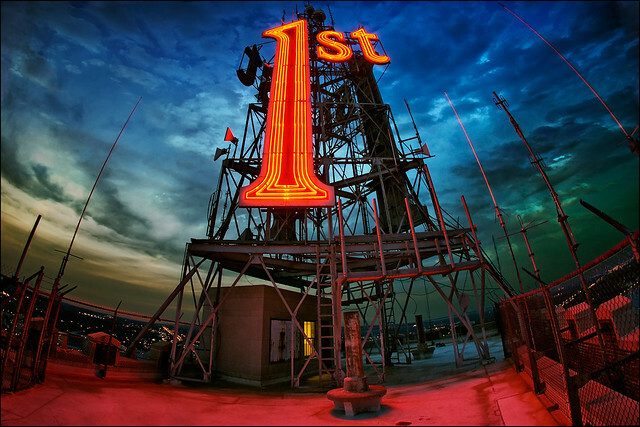 MSP can boast three of the four, but not the East Coast brand. It’s plausible to infer that Baltimore’s low cost, urban and high ed assets, and unique position have helped it draw in a young, educated crowd, but that its lack of a compelling identity has contributed to the lack of attachment to it that residents feel. We are mired in a classic economic morass of having a product that people cannot distinguish from other substitutes. Those substitutes are regional railroad and rust-belt towns like Indianapolis, Cleveland, and Milwaukee. The image of these cities is cold, boring, and downtrodden. If we want Minneapolis-Saint Paul to attract people, especially people who have the agency to move to a place of their choosing, what outsiders think of us matters. It is not enough to simply have a superior product. We want to be competing globally as a region and nationally with places like Baltimore and Denver, cities near our size that are buoyed by capturing a greater share of the flood of young human capital. To better compete, we need to celebrate our strengths, turn our weaknesses into opportunities, and emphasize what makes us unique. The third rail to this argument is the (in)famous University of Toronto geographer and public intellectual Richard Florida. His work, first laid out in his astonishingly influential 2002 book, The Rise of the Creative Class, is referenced in the original Star Tribune article, and was also brought up at the Walker discussion. Florida essentially takes the human capital economic theory and identifies certain groups—like scientists, engineers, gays, and bohemians—who are “creatives”, and thus (more) important to urban economic vitality. Creative class theory offers policy prescriptions that are extremely appealing to many urbanites, and a beguiling foundation for the Northern argument. There are two problems with it. The first is that Florida’s work, while popular with policy makers and media, is extremely controversial among academics, and has been thoroughly criticized. Second, the creative class is a deeply exclusionary group. While I enjoy belonging to the demographic being fêted by city officials, the identity of our cities and our region must belong to all, not just people like me. This perspective is biased in another way, too. When I ran this article past a friend of mine who is originally from Wisconsin, he called me out on my own coastal bias. In writing extensively on how to make Minnesota attractive to outsiders, I had left unsaid what championing the North might say to those who already live here. This was an embarrassing omission. 29,000 young adults leave Minnesota to attend schools out of state (21,000 come in) and far fewer return. Overall, Minnesota suffers a net loss of residents to domestic migration. Even to those who live here, the North’s image could use burnishing. That’s why the Northerners must make a cultural argument as well. There’s a lot of low hanging fruit here. Minnesota is the state of hockey (despite the disappointments wrought by our local professional team). We supply the US Olympic Team’s curlers. We host the Loppet, a pond hockey championship, and the best attended Red Bull Crashed Ice event. Snowmobile manufactures Polaris and Arctic Cat are Minnesota-based. We’re avid ice anglers, an activity that is the subject of ridicule in most of America. (Full disclosure: I don’t really get it either.) There is no state in the union that so thoroughly embraces the full spectrum of winter activity. Meanwhile, in the summer, Saint Paul hosts the Minnesota State Fair, which can claim the highest daily attendance in the nation. If any event celebrates the spectrum of what it means to be a Northerner, it’s this. That’s what you put in a 30 second tourism television spot. But being from the North can mean more than just winter activities. Cabin culture is something that seems a uniquely Northern phenomenon. Minnesota has one of the highest rates of second homes among US states (5.1% of the total dwellings); fifth if you remove sparsely populated states. Wisconsin and Michigan have similarly high rates of vacation homes, while Maine, New Hampshire, and Vermont have the highest percentages nationwide. Northern forests are a transcendent cultural asset. Historically, the North was settled by Germans and Scandinavians, and their legacy is evident in a way that is easy to spot. Perhaps as a result, our region differs linguistically, which is a powerful source of identity. The Minnesota accent is distinct and a cultural hallmark of the region, just as the drawl defines the American south. Some of our words are different too. Northerners play Duck, Duck, Grey Duck and eat hot dish. (NOT grape salad, remember that now.) And if we’re talking about the legacies of the past, the new North could properly recognize the American Indian history of the region, something that only the Southwest and Pacific Northwest seem to do in any measure. Our region is also different politically, especially given recent elections in which our neighbors have become Republican territory while Minnesota has remained steadfastly progressive. But this is an element of Northern identity that is problematic, not least because it threatens to excommunicate about half of those whom we would welcome into our tent. Another concern is that political winds are mercurial. Not long ago Minnesota was governed by a Republican and represented by a Republican senator, while Wisconsin was more proudly liberal. Any Northern identity must be durable enough to withstand political shifts. But what do we get from affirming these cultural quirks as the bedrock of an identity distinct from the Midwest? I think a few things. One, we bolster the value of Minnesotan goods. The ‘North’ movement has been criticized as an elaborate branding campaign by Dayton on behalf of his businesses. Obviously I believe it is and ought to be much more than that. But that does not mean that spreading and supporting Minnesota brands cannot be one of the goals of the campaign. If Minnesota-made boots, sweaters, blankets, and more become fashionable, than Minnesota itself benefits. In the Star Tribune article, Thomas Fischer, dean of the College of Design at the U of M, admits that the region has a “slightly hick” reputation. Northern goods can pave the way for greater respect for Minnesota, the Twin Cities, and this region’s lifestyle. Second, we better control our own narrative. Fargo is a wonderful movie, but the impact it has had on Minnesota’s image is hard to understate. At Macalester (where I went to college), the movie is one of the few reference points many new students have when relating to their new home. It’s a wonder anyone actually attends. Prairie Home Companion is another revered Minnesotan cultural export that does the state few favors in the population at large. I love it too, but it benefits substantially from context (and repeated listening). ‘North’ can be that context. ‘North’ can trigger the connections between not just Fargo and PHC, but on to other strengths as well. There’s a reason that no amount of Hollywood violence set in New York can diminish that city’s glamour. The context is too strong. Yet Minnesota is best known by just a few cultural touchstones. Third and finally, emphasizing a Northern culture also includes our rural hinterland. I live in the Twin Cities, as do those who have launched this campaign. At the discussion at the Walker, there was a tension in defining the North; who is a part of it, and who is not? This does not need to be centrally planned; as with all of our nation’s regions, membership is largely down to self-identification. But the North’s borders will not extend beyond I-494 if Minneapolis-Saint Paul dictates the entire platform. There is no dispute that MSP is the economic and cultural capital of the region. There is no dispute that becoming more attractive to young, college educated, creative professionals (near and far) is primarily an urban concern. But rural areas demand respect and deserve it, given that much of the Northern identity we’re peddling is derived from and preserved by them. In one sense, there’s not a lot that really needs changing. The North already exists; it’s not something we need to invent, only identify. This is already well-covered ground. Look no further than The Line or the WSJ articles for a detailed survey of how Minnesota and Minneapolis-Saint Paul are distinct from other Midwestern places, better than other Midwestern places (would we be here if we didn’t believe that on some level? ), and uniquely represent what it means to be a Northern region and city. At the Walker, one point of discussion was how to turn our biting winter into a positive. That’s something that Northerners already do. From the Winter Carnival, to the Holidazzle Parade/Village, to Crashed Ice there is plenty to do in wintertime. What’s left for us to do is to be proud of our region’s characteristics (in this case, the climate) and to sell them. But in another sense, it would be a missed opportunity to think of North as simply a marketing campaign. North could (should) be as much about placemaking as place branding. This may be a chance to set the course of the region in a deliberate way. The recent media coverage illustrates these dual objectives, because both Brinkley and Martucci capture important parts of what North is about. The aim is to reinvent the image of our cities and our region—and reinvent the cities and the region themselves. If we want it to be—this could be a big undertaking. One thing we could get right immediately is the marketing. We should learn from Denver, whose municipal logo and tourism logo both emphasize the skyline of a major metropolis, the rocky mountain backdrop, and the same evocative nickname: ‘The Mile High City’. On the other hand, Minneapolis, our region’s most dynamic hub and economic powerhouse has an awful logo that comes in ballpoint-pen-blue and says absolutely nothing meaningful about the city. Meet Minneapolis has a nice logo, but the tagline; “City By Nature” falls flat. It’s certainly not wrong, our parks are one of the absolute highlights of the cities, but it doesn’t play any of the chords that outsiders have when it comes to Minneapolis. “The Capital of the North” is a bold statement of the city’s prominence, and one that also embraces the region’s climate and culture. It would serve well as both the city’s nickname and tourist slogan, or in a parallel universe, the slogan of a combined MSP tourism agency. As for a logo, there are a number of possible starting points. But my vote is for the North Stars’ iconic mark, which could easily be converted from an “N” to an “M”. The Minnesota/Northern state/region motto and team namesake L‘Etoile du Nord is referenced brilliantly here, and I love the dual meaning that comes from the mapping convention of using a star to represent a capital city. There’s also a conversation to be had about Minneapolis-Saint Paul’s symbols. Seattle has the Space Needle, St. Louis has the Gateway Arch, Chicago has the Willis Tower, and so on. It’s certainly not necessary to have a single monolith somewhere, but it’s hard to think of an iconic image of MSP that outsiders might have. Unless MSP hosts the Olympics (which we might want to consider, we wouldn’t have to build much) or the World’s Fair, we’re unlikely to throw a ridiculous amounts of money at a massive landmark project in the future. Plus, we’re already doing it. The new Downtown East stadium will soon be the most well-known building in the cities, beating out four important Minneapolis works by Pritzker Prize winning architects, two classical marvels in Saint Paul, and a sculpture of a utensil that will soon be usurped on all the postcards. That’s not the end of the world. The stadium may well look pretty tremendous. It might also change the default-picture-taking-place from that pedestrian bridge over 35W to the Cedar Avenue bridge that crosses over the light rail, which would put the green line in the foreground. The renewed focus on Downtown East offers some unique chances to create a unique, iconic place. One interesting urban feature that will come from the downtown east redevelopment is Wells Fargo’s rooftop signage that will shine down on the Commons park. Here’s to hoping that Wells Fargo does something interesting with their branding. The Twin Cities already have a plethora of memorable advertising signs, but none that really stand out as a regional symbol. If the city asked to be able to take over a rooftop space, they could do something much more interesting. As placemaking ideas go, signs are ridiculously cheap. There are other major projects going on that will be local landmarks. The Water Works park would be a tremendous addition to the river, which remains our best (and not entirely fully realized) asset. The reconstruction of Nicollet Mall is another large scale project, and one that’s much further along in the planning and funding. The city has repeatedly indicated their desire to see the mall become the region’s “main street”. On February 3rd, the city issued a call for artists for four large scale projects along the street. Among the projects, the city would like to see an artist “create a large-scale iconic artwork” on the mall. Whatever shape this takes will probably come down to the mind of a mad genius, but the selection process ought to consider work that is derivative our our city and region. The key date for this marketing push is February 4th, 2018. That’s the day when over 100 million Americans will tune in to watch two teams—neither of whom is likely to be the Vikings—contest Super Bowl LII. For the week leading up to this event, the nation’s sports media will be in the cities, making jokes about the weather. During the game, NBC will be leading into the play with blimp shots and stock footage. It’s easy to overstate the effect of events like these; politicians do it repeatedly. But the Super Bowl’s visibility and timing make it a natural checkpoint in any branding initiative. The bid committee reportedly won the NFL owners over with their plans to embrace winter. Hopefully that does not just mean hanging out in the MoA. If the organizers are true to their word, the Super Bowl will be the perfect opportunity to show the largest possible audience what living in the North is all about. Altering the image of the region is one project. Altering the region itself is another. The North is worth distinguishing and promoting. But it is certainly worth working to change and improve. It seems as though every month brings new construction projects that will transform the Twin Cities into a more dense, livable, and remarkable place. Yet there is still a parking lot across from the Warehouse District light rail station and the downtown Saint Paul Macy’s still casts a pall over the surrounding sidewalks. The real estate market is strong, but not yet strong enough to fill all of the available holes. Growth is still an imperative. Meanwhile the battles over transportation investments, which could bind the cities, state, and region closer together, instead divide them along political lines. Is there an apolitical, Northern resolution to these issues? Perhaps not, but in building a Northern identity, we could make choices about our culture that would help us navigate these storms. In particular, I’d urge a reflection on what ‘Minnesota Northern Nice’ could mean. All sides of every issue do not need to agree on the particulars, but what they should do instead is make a commitment to a process of compromise and conciliation. Many Minnesotans are descended from Scandinavians, who have a long political tradition of seeking consensus. In an increasingly polarized America, politicians and those promoting the idea of a Northern identity should all agree to work to make Minnesota an exception that can serve as a model. We already can count on voter turnout and civic engagement that rank among the highest in the nation. All sides should at minimum find common ground in bolstering the ownership that all Northerners feel in their society through a political process that takes inspiration from our Nordic cousins. Initiatives like solving the achievement gap and reducing our pernicious residential segregation (linked issues that have been addressed by both parties) would be a powerful start. Northern identity should also influence our perspective of who becomes a Minnesotan. The state loses more people each year to other states than it takes in. However, Minnesota is still adding newcomers, thanks to international immigration. Again, Scandinavian nations should provide a Northern model. While these nations are more restrictive towards immigration than the United States, they accept high numbers of refugees. This tradition already exists in the state, and it should become a point of policy emphasis. As Minnesota ages, it will become increasingly crucial to bring people to the state from wherever we can; not just the educated 20-somethings covered above. Other regions will have a similar idea, but the North can gain an advantage by creating resettlement policy in the Scandinavian image that would attract those seeking to start a new life in this country. Meanwhile, the North would set in stone a welcoming and helpful culture that eases the transition for international migrants. We have the affluence, the space, and the culture to adopt such a policy. Assessing how Minnesota markets itself, inside and out, is easy. Building and shaping our landscape and culture in this new image is profoundly difficult. But small steps count too, and we should be bold in setting far reaching goals for the city and the region. If there’s a thread that runs through the North campaign, it’s about taking charge of our own story. As the Midwest, we’re on the fringe of a large, flat, and forgettable mass. As North, we’re at the center of a region with its own story to tell and our own story to write. At one point, this article was conceived as a personal reaction to an issue that struck a chord. It ballooned, in part because everywhere I looked, I found more to discuss. The prospect of changing an entire geographic identity is a daunting one. I believe it can be done, and moreover, I believe there’s a compelling case to be made that it should be done. That said, I have just one perspective. This article attempts to approach from multiple angles, but there is only one that this writer can truthfully inhabit. I expect to hear about those I shortchanged in the comments. I have some reservations about the Northern idea. Would it be possible to maintain MSP’s exceptional gap between wages and cost of living if the cities became more popular? New York City Mayor Mike Bloomberg once referred to Manhattan as a luxury product, and luxury goods behave differently in economic theory. While comparisons between the Twin Cities and Manhattan are ludicrous, it’s possible to envision the Twin Cities as losing their budget option appeal if the market properly valued (or overestimated) our assets. There’s surely a benefit for those of us who are here now in living in a place that is underrated. Or might the concept of North simply divide, instead of unite? Would we end up with Team Midwest vs. Team North? And of course, there’s the real possibility that the idea just never gains momentum. This is the eventuality I can do the most about, and this article’s main contribution may simply be to keep the idea of North in the spotlight. But beyond that, I’d love to add to the debate about the idea. There is not necessarily a right or a wrong answer, nor may there be disagreement as to whether there’s a solution at all. But I think in this time of change, the discussion is worth having. I know this is going to be controversial, but to me there is one thing that will give our state a golden opportunity to re-brand as the capital of the North and draw talent for decades to come. We need to host the Winter Olympics. If not in the relatively flat MSP area, then in the north woods of Duluth. This exposure goes way beyond anything a Superbowl can offer, it’s advertising on a global scale. I agree that the Olympics would be a huge boost. But instead of the Winter Olympics, where our bid might be hamstrung by a lack of nearby mountains, I’d suggest we bid for the Summer event. As I noted in the article (and this might become a future writing topic), Minneapolis-Saint Paul could host the Summer Olympics with almost entirely existing infrastructure. That would emulate the most recent LA Olympics, which were the last ones to make money. I figure that only an aquatics center (used afterwards by the U), and a velodrome (if the NSC removes theirs) would have to be built. That’s the interesting thing. The bidding for the 2022 Winter Olympics is a complete debacle; three cities were bidding, Oslo, Almaty, and Beijing. It was extremely clear that the IOC wanted Oslo to win, they were the only qualified hosts. But the Norwegians balked at the IOC’s demands and withdrew, so now they have a huge mess on their hands. In response, the IOC has started a process of simplifying their demands and allowing hosts greater flexibility to cut costs. The idea of a Minneapolis Olympics that would be run cheaply might actually be appealing in the current climate, although of course Boston has already won the rights to bid for the US in 2024. The U’s aquatic center is the remainder of an attempt to woo the Olympics previously, it was the demonstration project to show we had the chops to do it. The threw it smack in the middle of the old stadium. Because it is Olympic caliber (at least to historic expectations) it frequently hosts large college swimming/diving competitions. Sorry, but this just isn’t true at all. Minneapolis definitely does have tons of existing infrastructure, but the Olympics is a huge event. We’d need a brand new stadium seating at least 60,000 for track and field. We’d need an aquatic center that seats more than 3,000 people. We’d need a real velodrome, not an old wood track with no bleachers at NSC. Further, we’d need stadiums for tennis, beach volleyball, rowing and equestrian. That’s not even getting into an athletes village, main press center and broadcast center. Getting the Olympics here would take a huge investment and some justification for why the IOC should award one of the two most popular events in the entire world to the 16th biggest city in the United States. Facilities-wise, the Twin Cities are actually much better equipped to host the Winter Olympics — except for the whole mountain events side. The hills in northern Minnesota aren’t nearly big enough to host Olympic alpine skiing, and building a sliding track is very expensive with little opportunity for future use. However, as far as ice events, we’d really only need to build a stadium for long track speedskating. Really, our only hope would be if the newly “frugal” IOC allowed Minneapolis to host the flat events and Park City, Utah, to host the mountain events. There is maybe some potential in a plan like that, because it’s becoming increasingly clear that building new sliding tracks makes little sense. But even then, why not just host them all in Utah? I don’t mean to take away from your overall point, and in theory I would love to host an Olympics here. But the notion that we could host the Olympics “with almost entirely existing infrastructure” is just not true at all. Thoughtful article. Your point about parts of northern identity already spilling across borders reminded me of a map I recently saw which groups north america into distinct cultural regions independent of state borders. The map identifies “yankeedom” covering much of MN, spilling into WI, MI and up into the northeast, sharing characteristics such as “Founded by Puritans, residents in Northeastern states and the industrial Midwest tend to be more comfortable with government regulation. They value education and the common good more than other regions.” I’m sure that’s just the barest summary of the research, but it’s interesting. To me, if northern identity is really a thing it needs to describe real cultural affinities, not just boots and flannels, and be wary of any exclusive tendencies you described above. Does anyone think this research is helpful as part of the northern identity conversation? Is it a lack of branding? Or is a lack of breaking the bubble? http://breakthebubble.com/ Minnesotans have a reputation of being insular. “They’ll help give you directions anywhere but their cabin.” And that “Minnesotan Nice,” really isn’t that kind. I was born and raised here, and moved away for most of my 20s before coming back in 2010. I can see a lot of what people from outside the state are talking about when they say it’s harder to meet people here than in other cities. And I can also recognize that I’ve been guilty of that inclusive behavior without even realizing it. We can push any agenda, but if college-educated, boon-to-workforce adults move here, struggle to make friends and leave, it doesn’t much matter. I’m an outsider. I was born on one coast, schooled on another and ended up here. But even after I’ve been here a decade, it still doesn’t feel like home. The east coast feels more like home than it does here, and I only spent four years there for college. I also find the set-in-your-ways thing here to be pretty off-putting. A lot of times when I complain about very valid things here or try to propose another way of doing it, I’m shouted down by people who ‘like how things are’ and think I should ‘go back where I came from if I don’t.’ (This isn’t an accusation of anyone here, more an off-line thing I encounter frequently). Just because Minnesota is doing a lot of things right doesn’t mean it couldn’t stand to learn some lessons or take some good ideas from elsewhere. Lastly, I find most of the built environment here to be pretty dismal. So many wide roads, narrow sidewalks and overbuilt highways. The fact that probably 80% of the center ‘city’ is just low-density houses and that tearing any of them down to build apartments is hailed as a war on all that is good an holy is really depressing. Almost as depressing as it is to walk anywhere. On one hand, I’m immediately a little skeptical of any conscious attempt to forcibly brand anything as anything. Things get contrived and terrible quickly. Which isn’t necessarily bad (I mean I got to live lots of other places) but we have this sort of weird combination of “I hate winter and it’s boring here” and “let’s share all the listicles we do well in on Facebook” that never really made sense to me. In the short term I’m not necessarily worried that no one in New Mexico knows what state Minneapolis is in (though, as you mention above, I should worry) but I sure as hell wish there was more acknowledgement by locals that, yeah, things are pretty tops around here. In any case, I first moved to Minnesota from Pensacola, Florida, and anyone who’s ever complained about shoveling snow should give mowing the lawn in 110 degrees a shot. I would argue (100% in vain) that negative attitudes about winter are about 95% due to marketing. well, who are we going to brag to? I have a nice, quiet, Beverly Cleary kind of city life. I love where we live, I love my life here, it feels normal and boring to me (what, not everyone else has fire dancers in the park on random days and little kids practicing rope work and stilt walking in the front yards all summer?). But everyone else either has better weather, more diversity, or lives in Chicago. There’s nothing here to brag about compared to that. As far as better city nicknames/slogans go, I like “Jewel of the North”, backed up by some probably indefensible zoning ordinance that requires crown lighting on every building taller than ~250 feet. But, like Nick said above, trying to force a nickname rarely works well. I used it in part because it was so ubiquitous. Portland and Austin say the same thing to my knowledge. Didn’t know that Vermont kicked it off though! Austin started it, but Vermont just trademarked it for a state. Then Portland (and others) followed. I dig the whole “north” thing, but its not without its problems. Problem # 1: Climate change. As in, how “north” is it going to really seem here in 20 years. Problem #2: Canada. As in, don’t they kind of out-north us? Not too worried about the second issue, the South and the Southwest are still distinct regions despite the existence of points further South. I’m not too worried about it either, considering how often you read stories about how terrible most people are with geography. A solid 1/3 of Americans probably either think Canada is a state or that Minnesota is in Canada. How will be any less North in 20 years? We might be warmer, but we’ll still be North of all states but Alaska. as a “young 20-something” transplant to Minneapolis I can identify with pretty much all of the outsider views of The North. Honestly, ignorantly, before landing a job here, I never everrrrrrrr once thought about moving to that state called Minnesota–don’t they have like the largest mall or something? I truly did not know squat about Minnesota let alone the Twin Citites. I learned everything through Google. Like how people road their bikes here during the winter (are they insane?) or how awesomely liberal WE are. I learned that Minnesorans are obsessed with their rinky-dink cabins and think they have such luscious lakes (sorry but if you’re a Michigander like me your “lakes” ain’t got nothing on mine). I moved for employment (as I had done years before and landed in Sin City) and had no plans on how long I would stay. I absolutely have a love/hate relationship with the place I call home and probably won’t leave until retirement. I hate the weather. Both seasons. It is too cold and too hot. The winter I moved here I walked to work and my eyelashes literally froze together. The summer I moved here I played softball in St. Paul on the hottest day in the Westen Hemisphere (106 degrees I believe it was). I mean talk about extremes. And no it is not Minnesota Nice it is Minnesota Ice. And it is true: Minnesotan’s will stop and give you direction anywhere but their own homes. It was very hard making true, long lasting friends here. And I am not one to toot my own horn but I am quite the lovable extrovert and have never had an issue making friends. After four plus years I do have a great seat of friends but sadly most are transplants just like me. But I don’t want to dog Minnesota because all the great things above are true and more. I love, love, love that I can walk to a Twins’s game, Vikings game (well when they were at the Metrodome I could), walk to multiple museums and theaters. I love how accessible by foot, bike, or lightrail the cities are. And you didn’t even mention our amazing SKYWAY!!!! How could you forget. It is the gerbil cage of commutes! I literally would freeze to death or faint with out our indoor foot highways. And the food. Drool. We have everything and more. We are such stuck up foodies and I love it. I love that we have a VEGAN butcher shop. I mean can anyone else make that same claim?! We are over saturated with higher education but that better than under saturated so I am happy with our education options. I plan to live here for many years. I bought a condo in Loring Park so I don’t have much of a choice now even if I didn’t. Oh yes and one last thing I love having a park downtown. It is great to live within walking distance to work and a park. Who are you and how did you get in my head? I had a very similar experience as a transplant from a large midwest city. The stereotypes? I find that they do exist, though not everywhere and always. Minnesota Ice is a real thing, and it’s a detriment to the region. So many times I have encountered someone who really loved this place, but to a fault. It seemed like they didn’t want to share it with me, they wanted to keep it their own little secret. To hell with them. And to hell with those silly little “MN” listicles that pigeonhole the entire region to the state fair, hot dishes(yes please), and Prairie Home Companion(barf, and I make no apologies). The North, I’m finding to be far more than that crap, and that’s awesome. I found some locals who took me in, who acted as cheerleaders for all things good about the Twin Cities, and who encouraged me to look beyond the social shut downs I was experiencing. Some of my closest friends are transplants, and it’s ok. Together we are figuring it all out, and seeing why it is people stay. We will probably stay. There’s already acknowledgment nationwide that this region is unlike the rest of the non-coastal United States with the lackluster designation of the “Upper Midwest”. It’s basically a label that must have been drawn up by coastal dwellers who don’t want to have to make another exception on top of Chicago. On the other hand, the region does suffer from the banality of the Midwest: if Minneapolis didn’t exist St Paul would get to be as provincial as it wished it were and then you’d still have the vast sprawling suburbia which is basically Any Suburb, Midwest. And for transplants I have a question; how many of you would have moved here if there were only St Paul and no Minneapolis? I can safely say I’d already be on one of the coasts if that were the case (still quite possible I’ll end up there). And this is the problem with the North designation: that while there are some cultural differences are they really enough to distinguish it from the Midwest? Hot dish and Minnesota Ice, for example, are just as strong in Central Ohio where I grew up: we just have different words: “casserole” and “passive aggressive”. I’d have to say that it seems Minneapolis alone is the region’s only large city which stands out as the antithesis of the typical Midwestern city: very liberal (LGBTQ accepting, co-ops everywhere, lots of local book stores and record stores per capita), the most car-free friendly with an unparalleled combination of bikeways and quality mass transit, alsi has so many healthy neighborhoods that other Midwestern cities would have to combine theirs together to match the number we have, etc. And then you have Madison for a smaller major city which likewise bucks the sad trend of cities like Dayton, Topeka, and Springfield (pick one). On top of that, factor in other parts of the Midwest which are not at all alike: Cleveland is nothing like Omaha. Cleveland seems to prefer the Great Lakes label (as publicized by their excellent brewery of the same name and winter surfing antics in Lake Erie), but then if that gains more traction do we get pulled in by default? Lake Superior counts as one of those last time I checked. Ultimately, I’d have to say it comes down to the people. Minneapolis offers the urban amenities needed in a real city: by that I mean you can live like a city slicker and not a suburbanite who happens to live in the city but has to drive everywhere, which is par for the course in most Midwestern cities. However, the Midwestern passive aggressive-ness, even having grown up with it, is just something that I’m so very over. People here in general will never be confused with Spaniards, language differences aside, or even Canadians, accents aside (and language for those Quebecois). So, for me it’s a case of the shoe fits: but only on one foot. More than likely, I’ll end up on the coast if nothing else for my sanity. I just don’t see me here long-term and certainly would not want to grow old here regardless with these awful icy sidewalks threatening to break an old person’s hip at a moment’s notice. Don’t get me started on those piles of snow blocking access to some beg buttons and icy ponds formed around intersections from melting snow rendering a direct crossing by foot impossible. If you want dry warm feet, that is. Ding ding! I tell people I live in Minneapolis. It’s very odd to my family when I talk about the Twin Cities. They’re far form twins, and MPLS is more my vibe. I report them. Over and over again. They close my requests out and say they inspected them and they were fine. When I next see the same sidewalk? Nope. Not cleared. The 311 system is broken and accomplishes nothing other than having some extra buttons for someone in city government to click before avoiding more work. Sigh. I thought the North would do a better job of clearing the roads and sidewalks than anyone else. Seems like the North just tolerates larger levels of snow and ice than other places. Apparently snow removal and being a good neighbor are places where Minnesota is decided not a little above average. Minnesota is apart of the Great Lakes. Also consisting of Wisconsin, Illinois, Indiana, Ohio, and Michigan. The Great Lakes is slowly catching on actually. 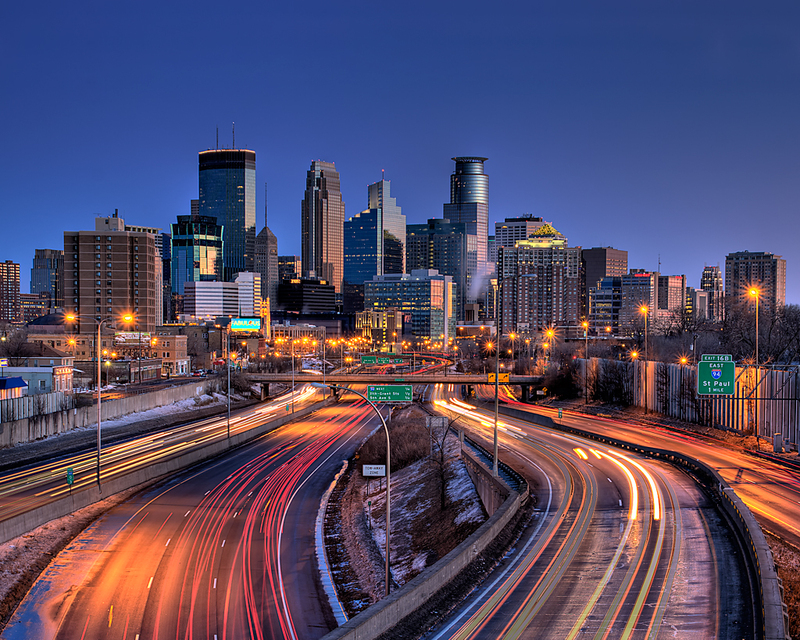 Minneapolis is the second economic engine of the region. Though, it’s not all glamorous now. The potential is there–once these six states work together instead of apart. Once Chicago acts like a better leader, and realize Minneapolis is the DC to its New York. It’s the San Francisco to its L.A.
We cant’ even get towns next to one another to cooperate, how would we possibly get competing states to do so? Well, maybe we should demand our cities to work together. By going to city meetings and speaking about our regional identity. There has to be some way…The Great Lakes is a clearly defined area, and we should fight for it. Canada calls itself the North. New York and Pennsylvania are East Coast states. No one is claiming the title of the Great Lakes, but us. I feel like the “Great Lakes” region has some flaws. One is that it doesn’t really represent the whole state. Duluth’s harbor helped develop the northern portion of the state, but has much less connections to the southwest. Second is that I’m not sure it rings true anymore. The Great Lakes are no longer a key part of our economy, at least in the way they were when we were shipping iron ore out. Third, our cachement area for people has always been points west, even all the way to the Rockies. I think the Great Lakes label minimizes our connections to the Dakotas. I’m fine with Buffalo-Cleveland-Detroit taking the Great Lakes name. I think we’re a different region. Oh, and as for everyone in Chicago wearing the city flag on everything, including their skin, it’s also due in large part to being a great city flag design. Have you seen ours? I wouldn’t buy anything with it prominently displayed, let alone a tattoo of it. And it’s not even a real flag: it’s a pennant. I think flags are an issue that some other folks are already planning to tackle. It’s an easy weak spot in how we present ourselves. Minnesota and Minneapolis have awful flags. Saint Paul’s is actually pretty great, but you never see it anywhere. 1. We don’t have a branding problem. 2. As someone originally from the South, I’ve been thinking of and referring to MN as the North for years. 3. The East Coast and West Coast are never going to register the importance of anywhere else in flyover land no matter what we do, so we should just forget about that and focus on fixing actual problems like our incredibly entrenched racial disparities in jobs, wealth and education. Lol, so…it’s not even about the east or west coast. At least not for me. It’s about taking charge of our region. The coasts can call us what they want. But that doesn’t mean we should allow them to name & define our region. That should have never happened it the first place. Feel like it’s not mutually exclusive to do both. You’ll never see me arguing that getting the branding right is more important than fixing our glaring disparities in work and education. Why does there have to be a choice in fixing our image and social issues? I think these two things are more tied together than people here even realize. FYI, Not all areas on the East and West Coast touch the ocean. But they include the whole states as east and west coast anyway. But, I digress, good luck to you Minnesotans in finding your regional identity. The cities that are doing well circa 2015 seem to have space for new growth while respecting history, and that’s a challenging balance to strike, sometimes. That’s an inherent tension in the Twin Cities, since St. Paul is often, in urban studies terms, cited as the last of the “old” traditional cities, and Minneapolis is the first “Western” city. Very glad to see the Frank Bures Thirty-two article referenced. A great, great insight into what’s right and what’s wrong with Richard Florida’s theories, at least as a foundation to build an entire identity/branding initiative.